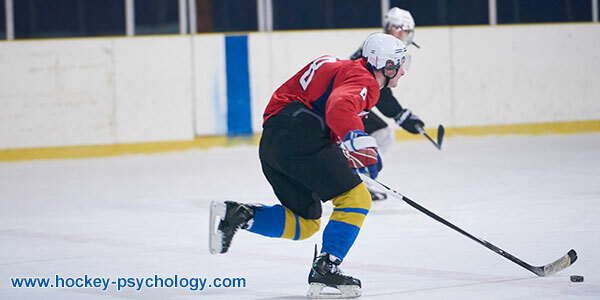 Peak performance shows up in your work ethic on the ice and not always on the stat sheet. This game day expectation puts the focus on the outcome and statistics rather than just playing the game one play at a time. 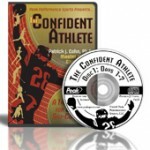 High expectations cause players to feel more pressure, judge their performance harshly, and quickly lose confidence when they don’t play up to their expectations. All high expectations put undue pressure on the player to achieve them. There will be many games when shots just don’t go in or the puck doesn’t bounce your way. The “numbers” don’t always tell the full story of your performance. Making a good outlet pass, etc. When it comes to having an impact on the game, it is better to focus on playing hard and doing the little things right. Philadelphia Flyers rookie, Oskar Lindblom, has played great hockey despite not showing up on the score sheet. Despite not scoring, Lindblom is positively impacting games for the Flyers by fore checking, creating turnovers, playing aggressively, winning loose pucks and pushing the puck forward. Lindblom knows that, if he keeps doing the little things, he will contribute to the success of the team and, eventually, the goals will come. 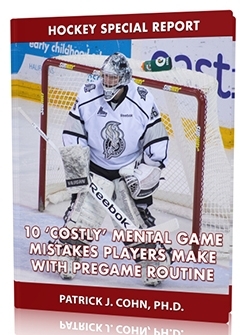 There are always ways to impact the score sheet without putting the puck in the net, so drop the high demands you place on yourself and play smart hockey. Identify three high expectations that you have for a game. Look for little ways to impact the game. Commit to being aggressive and playing smart hockey. Hustle plays are directly within your control and there are far more opportunities to make hustle plays than there will be scoring chances.